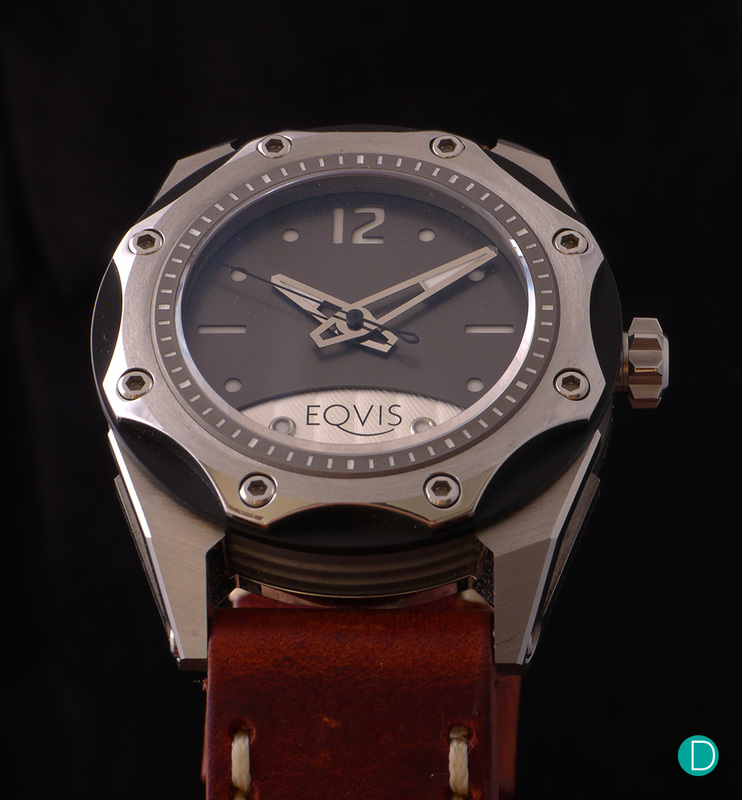 A new brand on the block, the EQVIS Varius positions itself in a category far above the regular kickstarter brands. It boasts a 100% made in Switzerland product, from parts manufacture to assembly. The watch is designed in Germany and made in Switzerland, with a sell point of superior quality and manufacture. An interesting feature of the watch however, lies in the multiple accessories from bezel to strap that can be used by the wearer to create his own combination look. We took the watch for a spin and here’s our thoughts about it. Our first impression of the watch was its heavier than average weight and tall case dimensions. 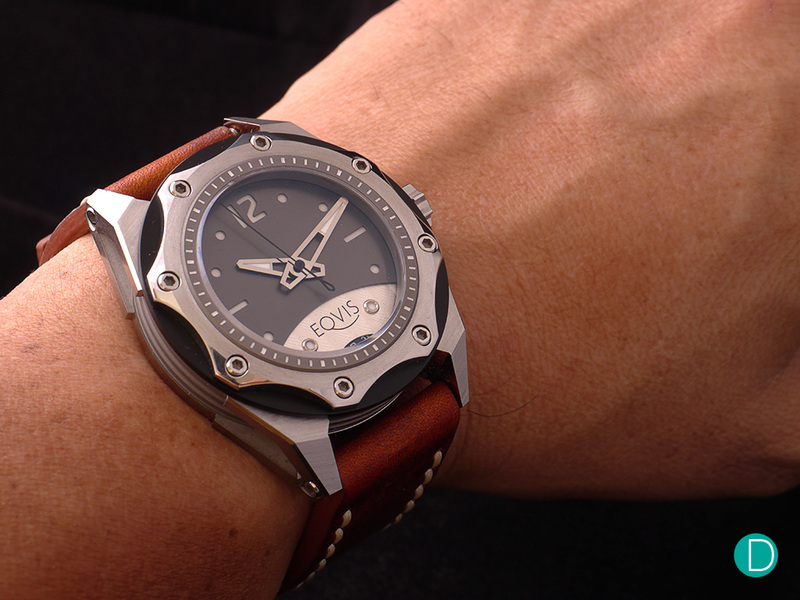 The watch is rather hefty at 117 g, a rather heavy weight for a leather strap timepiece. It measures 45 mm in diameter and has a 16.3 mm height. A gross comparison in size would be a 1950s Panerai or a IWC Big Pilot. 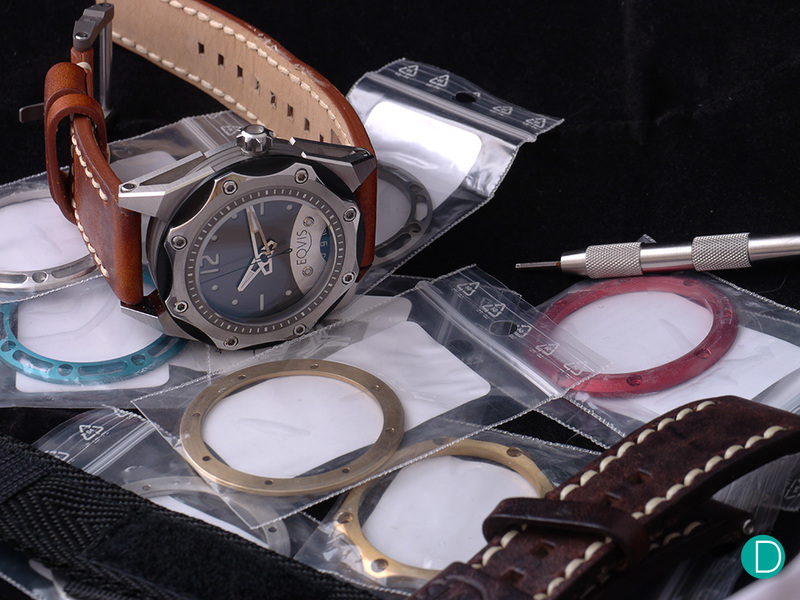 The case uses a unique four parts construction, with a bezel, divider, core in titanium, and a caseback which is connected to the lugs. Judging from the angles from the case design, multiple fillets, multiple parts (which require more design integration), it is expected that the CNC costs of the case itself are quite significant. While the final aesthetics of the watch are subjective, the effort and engineering behind creating this piece is definitely worth consideration. 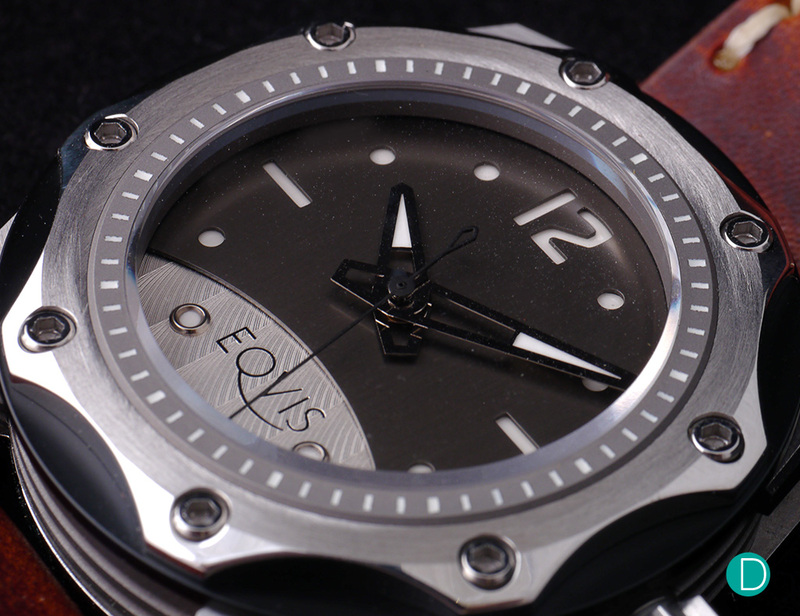 The core of the watch is made from grade 5 titanium and has a distinctive gun metal ash grey color. The exoskeleton is made from 316L stainless steel. The front and back glass uses sapphire crystal with double sided anti-reflective coating on the front glass. Overall, the case is very well made. 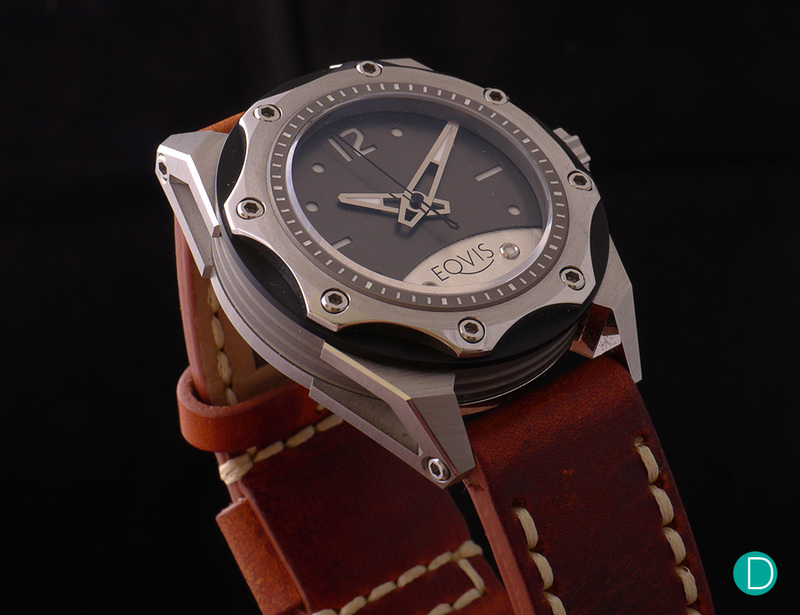 There is a certain tool-like quality to the timepiece that conveys a robustness to the wearer. That said, when it comes to user experience when trying out the changing parts, the over engineering comes into question. The watch is littered with hexagon screws, which are good to look at, but a real pain to unscrew and screw back on when changing the strap or the bezel. While trying out the strap change, we recalled quick release strap designs from other brands or generic slider quick release lug bars that are much more efficient than having to unscrew both screwed down sides of the lugs; which are screwed down to a double threaded metal lug bar. Furthermore, even with some degree of skill and effort, it is also difficult to avoid scarring the hexagonal screws. That said, while changing the parts might be more difficult than advertised, we want to credit the maker for the effort in making a less generic case design, and a rather fascinating dial. 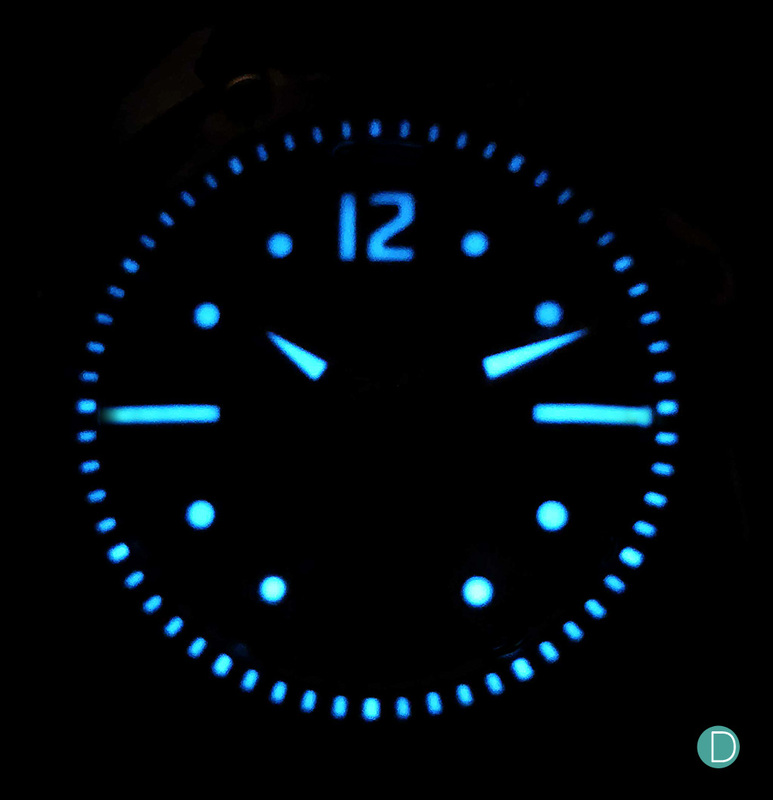 The dial uses a sandwich design with multi layers, from a steel base dial with Geneva lines finishing, to a dark grey upper sandwiching a luminous middle used to light up the hour indicators. The hands are silver polished and partially filled with luminescent paint Super LumiNova™ BG W9. 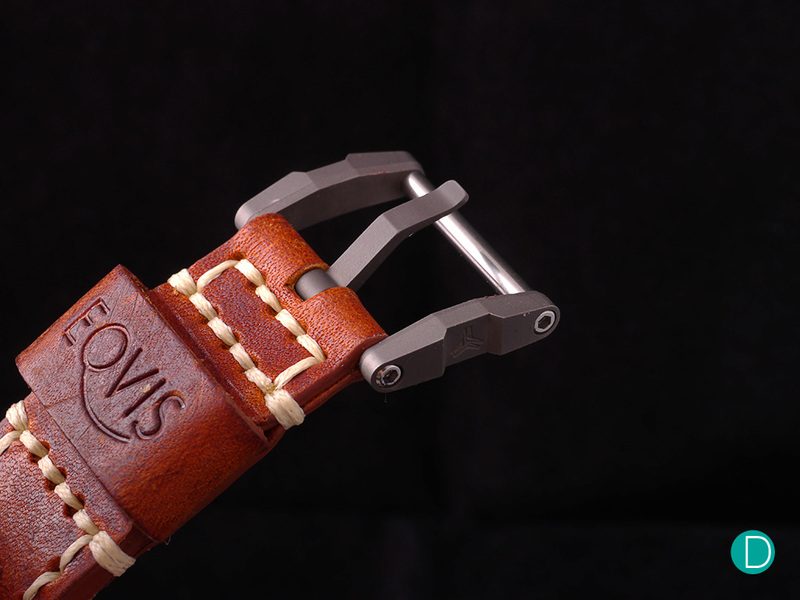 The Varius uses a tang buckle design, made from stainless steel and titanium. Once again, very nicely made, no costs saved on production for such a design with the multiple cuts and fillets. That said, switching the buckle over to a new strap could have been much simpler with a regular spring lug bar. 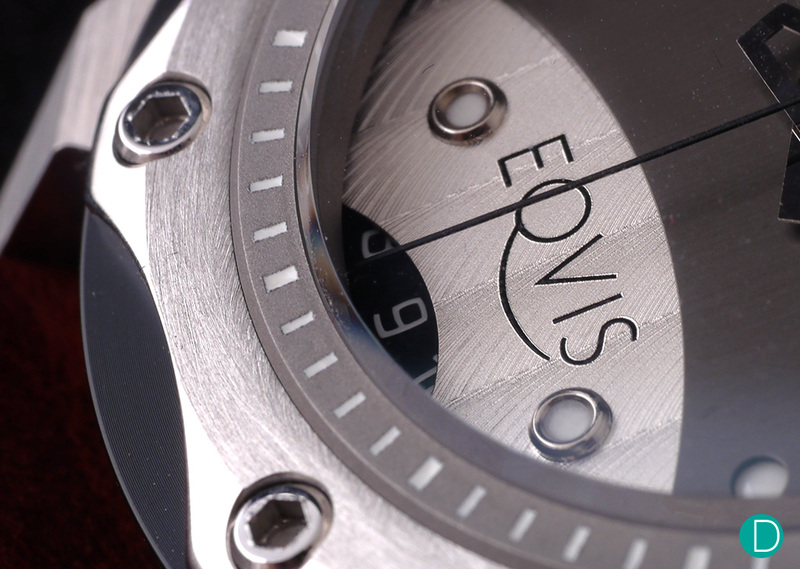 Using the EQ-111 self-winding, mechanical movement, the watch beats at 28,000 A/h and has a 46 hours power reserve. The movement is based off the ETA Valgranges A07.111 which is said to be a premium line of the ETA ebauche movements, and has superior performance and reliability as compared to regular ETA movements. 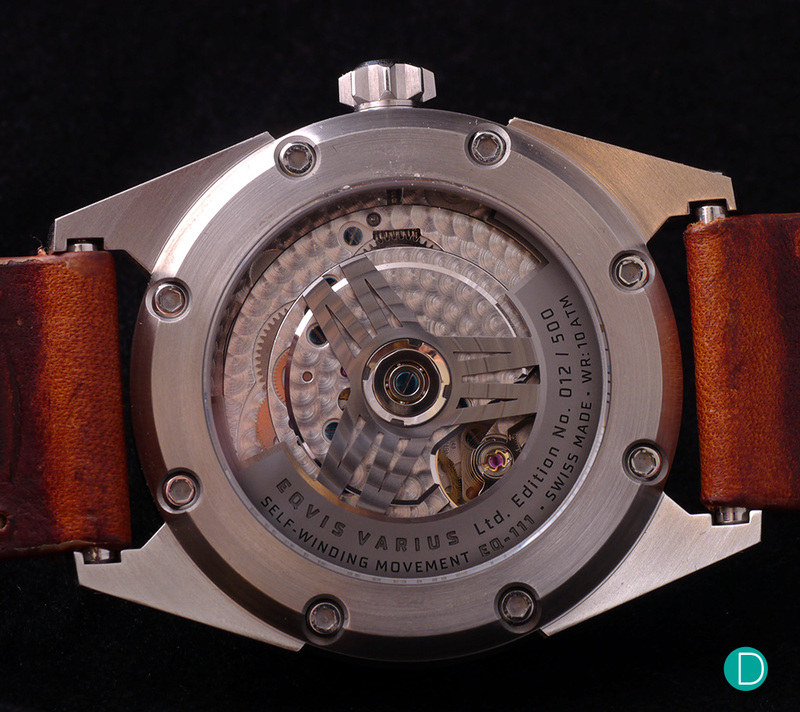 The finishing is mostly machine grade, comparable to a Sinn or TagHeuer entry level movement finish. The bridges are perlage finished and accompanied by a logo-shaped ruthenium rotor. 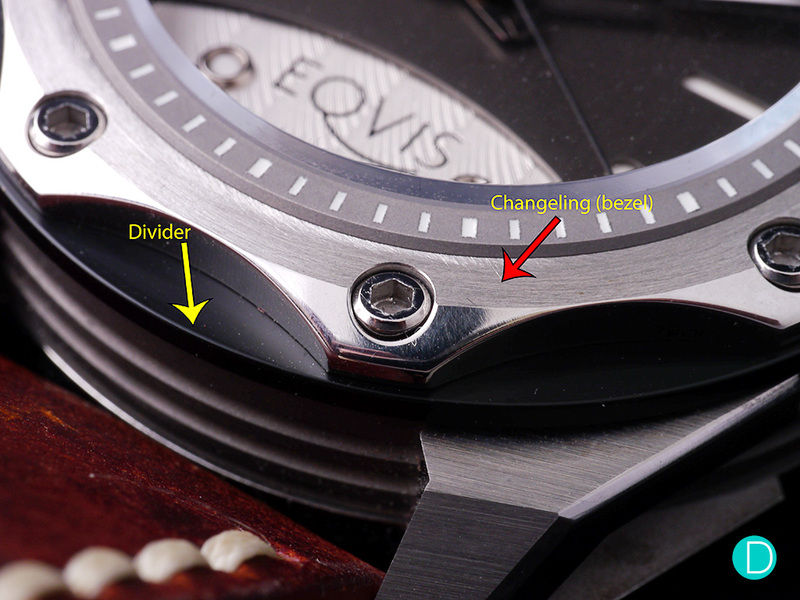 The watch comes with a tool for changing the bezel and divider as well as the straps. The starter package comes with the watch, two extra changelings and an extra strap. Other accessories can be purchased as add ons. 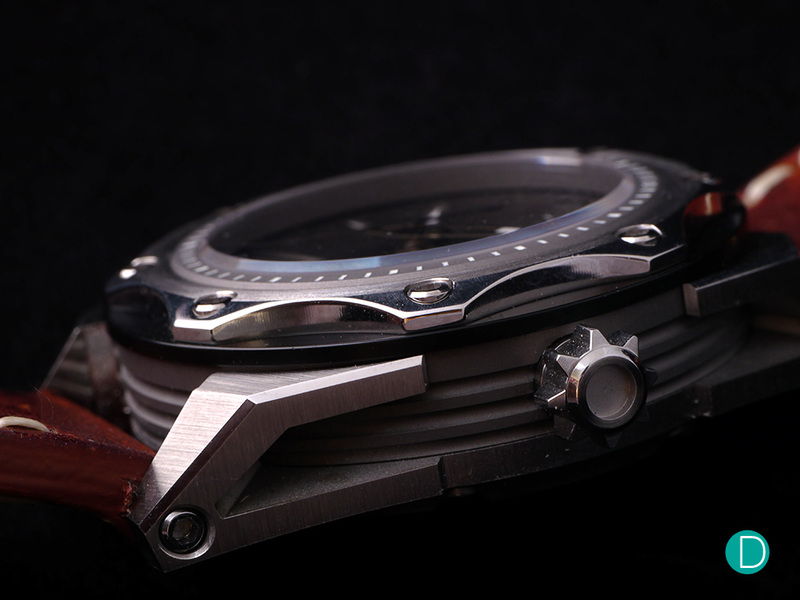 As a whole, we found the watch to be fun with its ‘customizable’ options and well-made in terms of engineering. As with size and thickness, we steer towards watches which are more lean, but of course that is subjective. Our uncertainty though, and we suspect for many others, lies in the price; which weighs higher than what we expected, 6.500€ including VAT. For more information on the watch and accessories, do visit their shop, or their instagram page for more looks from different bezel combinations.